Owners of small businesses are typically very busy people. They have many, many responsibilities -- from worrying about finances to running day-to-day operations. Sometimes they’re so focused on the daily “to-do” list that they don’t make marketing a priority, whether it’s through word-of-mouth, direct, digital or social-media marketing. Or they just don’t have the time. This column will focus on how to decide if your small business should be using social media in the first place, what strategies you can use to increase customer engagement and possibly sales, let customers know about deals, and much, much more. Small-business owners should constantly be thinking about how they can get new customers and keep existing ones happy. One way to do this is through social-media marketing, using online social networks to spread the word about your business either through organic posts or paid advertising. It’s important first to consider whether it makes sense for your business to use social media. If they use social media. Which social networks they are active on. What social network they use the most. If they would want to receive information and promotions from your business via social media. Small-business owners should also post a survey with the same questions on their business websites. Why? People who visit your website may include potential new customers, and most people looking into a business go to its website first. There are free online survey platforms such as SurveyMonkey that make this process quick and easy for small-business owners. 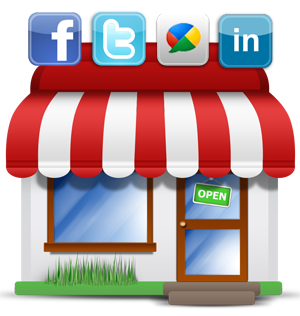 There are many reasons that small businesses should use social media. The beauty of social media is that people can share your content with their friends, hopefully leading to more customers.